The Presidency on Friday denied a report that the President’s wife, Aisha, had been admitted to the hospital, where her son was being treated. It stated that there was no truth in the news that Aisha suffered shock after she was told about the motorbike accident involving Yusuf. 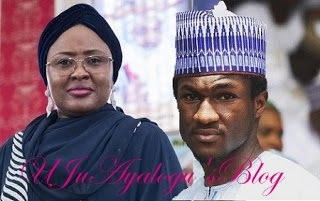 There was an earlier report that the First Lady, Aisha Buhari suffered shock after receiving the information of her son's motorbike crash. She was reportedly hospitalized at the same hospital where her son still receiving treatment. But the Director of Information in the Office of the President’s wife, Suleiman Haruna, was emphatic that nothing of such happened. “There is absolutely nothing like that. People can be so wicked in their thinking. Since her son is in the hospital, is there anything wrong with her being with her son? The news is false, there is nothing wrong with her,” Haruna said.